In the company I work for we’re using RabbitMQ to offload non-timecritical processing of tasks. 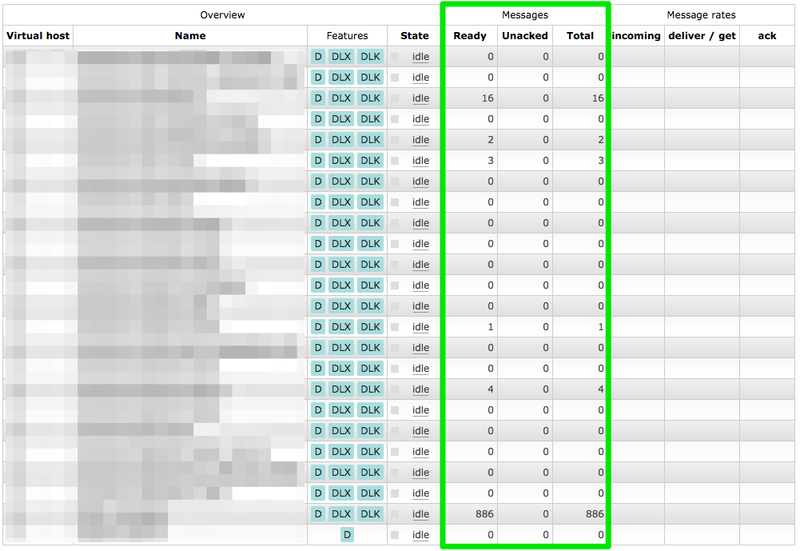 To be able to recover in case RabbitMQ goes down our queues are durable and all our messages are marked as persistent. We generally have a very low number of messages in flight at any moment in time. There’s just one queue with a decent amount of them: the “failed messages” dump. It so happens that after a botched update to the most recent version of RabbitMQ (3.5.3 at the time) our admins had to nuke the server and install it from scratch. 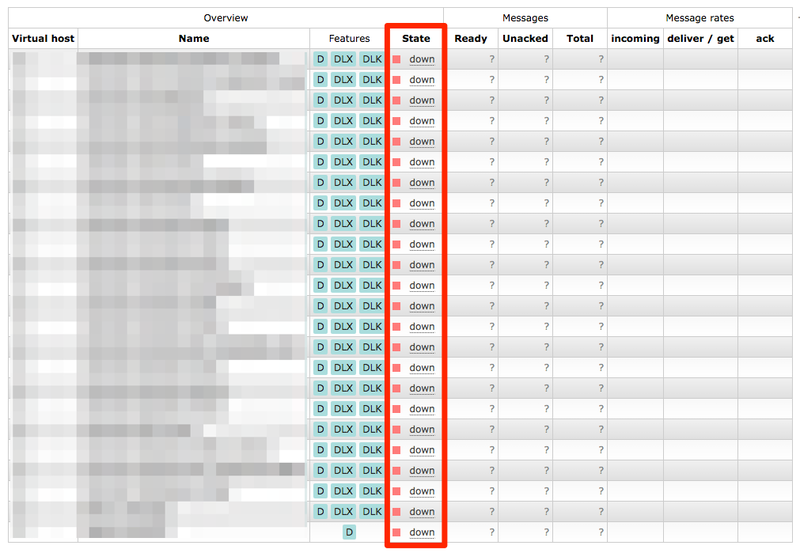 They had made a backup of RabbitMQ’s Mnesia database and I was tasked to recover the messages from it. This is the story of how I did it. My idea was to setup a virtual machine (running Debian Wheezy) with RabbitMQ and then to somehow make it read/recover and run the broken server’s database. My first try was to just copy the broken node’s Mnesia files to the VM’s $RABBITMQ_MNESIA_DIR failed. The files contained node names that RabbitMQ tried to reach but were unreachable from the VM. So I tried to be a little bit more picky on what I copied. Stopping RabbitMQ I tried to feed it the broken server’s data in piecemeal fashion. This time I only copied the rabbit_*. [DCD,DCL] and restarted RabbitMQ. So I thought why doesn’t the RabbitMQ in the VM pretend to be the exact same node as on the broken server? So I created a /etc/rabbitmq/rabbitmq-env.conf with NODENAME=$BROKEN_NODENAME in there. I copied the backup to $RABBITMQ_MNESIA_DIR (now with the new node name) and fixed the permissions. I edited /etc/hosts to add $BROKEN_HOST to the list of names that resolve to 127.0.0.1. Now what? Why don’t I try to give it the Mnesia files piece by piece again? All our queues were back and all their configuration seemed OK as well. But we still didn’t have our messages back yet.